I spent some time earlier today solving a computer problem for my sister. We’ve done this together several times using iChat on our Macs and having her share her screen with me. iChat screen sharing allows me to see exactly what’s happening on her end, even though she’s in Pennsylvania and I’m in Georgia. She’s always grateful for the help and I get practice solving a Mac mystery. Her husband then had a question about his iPad. Our conversation reminded me I need to address a few of the basic skills that make your iPad more functional and more fun. So let’s see how to make the web browser called Safari a more useful tool for your iPad with Bookmarks and Web Clips. 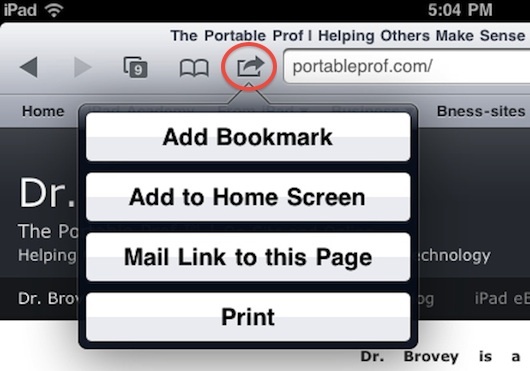 Bookmarks – You can save your favorite web addresses (URLs) in Safari by creating bookmarks. Look in the Safari menubar in the upper left for the open book icon. Tap the icon once. That’s where you’ll find your saved bookmarks. Every iPad comes with a valuable bookmark preinstalled at the bottom of the list, the iPad User Guide. 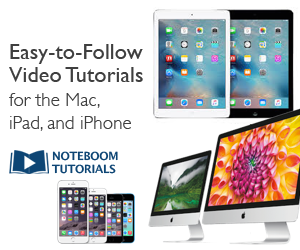 Here’s a link to a a video tutorial that tells you more about it. You create bookmarks using the action icon just to the right of the bookmark icon. To add a bookmark to your bookmarks collection, tap the action icon and then tap Add Bookmark, the first choice in this list. A Web Clip appears like any other application icon on your Home Screen, but instead of starting up a little program known as an app, a web clip starts Safari and jumps you directly to the site of the web clip. To make a web clip, tap Add to Home Screen, change the name for the icon if you wish, and then tap Add. 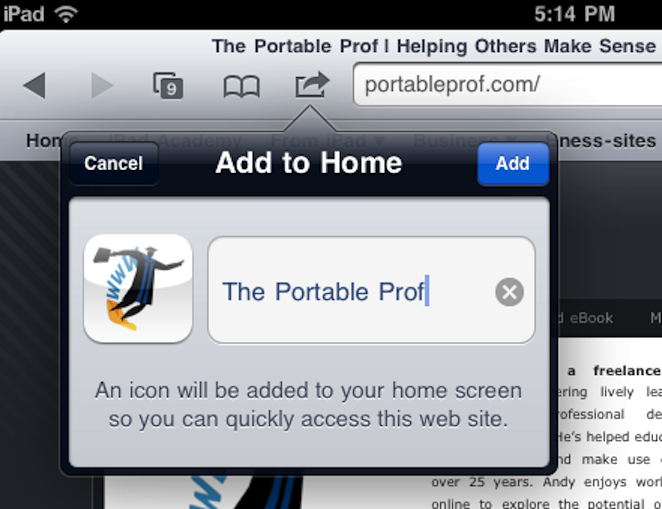 An icon representing the site will appear on your iPad screen. Want to learn more about making web clips and making them look good? See this post.